In last week’s fantasy Premier League there were quite a lot of busts with some of the lower table teams picking up points. The average points gained for FPL teams was quite low at just 38 and a high tally of only 99. The breakout for Aston Villa was something of a shock, although it remains to be seen if this is something that was a one off or if it will continue for the remaining weeks. Their 4-0 win meant managers who picked up Christian Benteke or Gabriel Agbonlahor picked up maximum points along with anyone who chose their backline. Against Swansea City they will have a tougher test although I am one who sees more potential in Aston Villa’s attacking options compared to Bafetimbi Gomis (1 goal since Bony’s departure). Last week many of the big name players came through with points including Wayne Rooney and Diego Costa. They are, once again, viable options for this week, although Rooney less so than Costa. In looking at other forwards Olivier Giroud has a favorable matchup and has been doing very well leading the line recently for Arsenal. In the past four weeks he has picked up 7, 5, 8, and 11 points. Against a struggling Newcastle defense he is a strong contender for captain this gameweek. The bargain options of Charlie Austin, Danny Ings, Saido Berahino, and Brown Ideye are all viable and I would even though in Agbonlahor and Benteke following their breakouts last weekend. All 6 of these strikers have decent matchups that could see them on the score sheet. Harry Kane’s Tottenham host bottom of the table Leicester City and is another contender for captain in gameweek 30. As far as midfielders go there are a number of good options. George Boyd remains a dark horse, although I expect Burnley to struggle against the strong defending options at Southampton. Eden Hazard, Christian Eriksen, and Alexis Sanchez remain favorites, especially with their matchups for this weekend. A few outsiders to look at include Aaron Ramsey, who made a strong return last week with 14 points. Stewart Downing’s West Ham take on the struggling Sunderland and could do some damage at home. Crystal Palace’s midfield has been looking like solid picks as well with the likes of Yannick Bolasie who scored 11 points last week. Unfortunately Jason Puncheon, Wilfried Zaha, and Mile Jedinak are all injured. Puncheon and Zaha are listed as questionable, but I would say they look unlikely to start or even play at all. A shock addition to midfielders is QPR’s Matthew Philipps. Over the past five weeks he has picked up 27 points including 7 points from his stunning goal in gameweek 29. With QPR playing at home to Everton there is every chance of scoring a goal. Southampton look like good money in midfield as well particularly with Sadio Mane and Dusan Tadic. Which leads to defenders and Southampton’s home game against Burnley. Burnley may have beaten Man C last week and have a proven goal scoring threat in Ings, but Southampton have already proven themselves in the defensive category and will be looking to atone for the 1-1 draw at Chelsea. I’m picking all options from the Saints back four including Ryan Bertrand, Nathaniel Clyne, Jose Fonte, an Toby Alderweireld. Of course Chelsea is a quick pick for defensive options and I would add Spurs to that as well. Riskier options would include some from Stoke City, West Brom, Crystal Palace, Aston Villa, or Swansea City. Phil Bardsley has been putting in good numbers lately with 20 points from the last three matches. Playing at home against Crystal Palace is in their favor. Danny Rose is another player who has a lot of potential and is a good cheap option. West Brom’s defenders are always decent choices as well considering their cost along with the chance for good defensive displays from the Tony Pulis lead team. Joleon Lescott and Craig Dawson being two of the top picks here. As far as goalkeepers go, there is very little that changes in this category. Hugo Lloris and Thibault Courtois still being two of the best in FPL along with Fraser Forster. One thing you might notice is the lack of picks from Manchester City. Quite honestly, they have been terrible lately and look like only getting worse. I may have predicted them to win, but that is more playing the odds than anything. At this point I’m not even sure I want to carry Sergio Aguero let alone David Silva or Yaya Toure. Toure has looked a shade of last year’s player and Silva has been struggling lately. 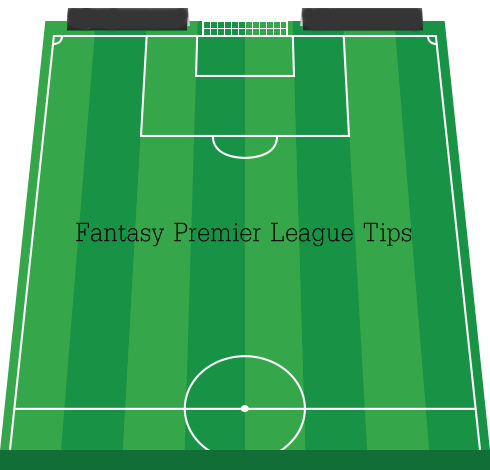 That wraps up this week’s fantasy Premier League football tips. I will be putting out my weekly rankings and encourage you check out Togga’s rankings as well. Good luck in your FPL exploits this weekend!